Looking for a snow plow to clear your driveway or roadway, Snow Plow Stuff, a division of New Vision Truck Accessories, is selling most snow plows up to $500 off the already discounted price. You must order early in order to take advantage of this offer. The best way to buy your plow is to call us, find out which plow will work best for your situation and your vehicle, and we will give you the best possible price delivered to your doorstep. At the same time, take advantage of the any financing options. 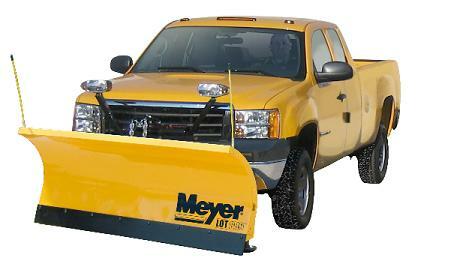 All Meyer Plows are made in the USA. New Vision is a Meyer Plow Distributor, located in Grand Forks, ND selling and installing snow plows for the last 30 + years. We carry only plows made in the U.S.A. As a former dealer of winch type plows, we decided to give our customers a more reliable, easy to operate, and dependable snow plow that did not have some of the problems associated with winch type plows. The solution was a first class, reliable, and low maintenace Meyer HomePlow. During the last four years carrying the Meyer Plow line consisting of commercial and residential plows and salt spreaders, we experienced "0" problems, "0" returns, and no warranty. 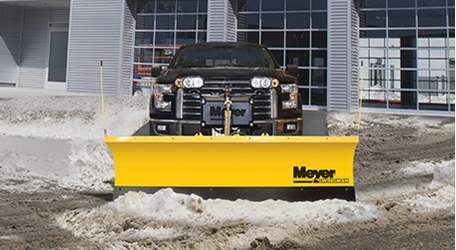 Former customers of winch type plows agree after purchasing a Meyer HomePlow or commercial plow that they made the right decision by going with Snow Plow Stuff and purchasing a Meyer Plow for long lasting, low maintenance, and trouble free snow plow that is easy to operate. We pride ourselves in offering only snow plows that have been tested and proven to be reliable and dependable. Most people agree that after looking at all of the snow plows offered on the site, their is a plow that will work for them. Our staff is very experienced in the operation of our snow plows and welcome your phone calls. We are very different from most online companies selling plows. New Vision is a brick and mortar store, established in 1986 with experience in selling and installing plows, truck accessories, wheels and tires, and just about anything that goes on a truck. Each year we purchase plows for stock that are available for immediate shipping. We believe that our customers should be a priority and when they order a snow plow, they should be able to receive that plow within 3 - 7 days. 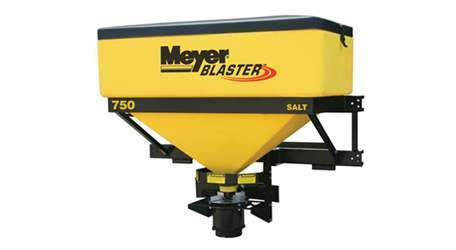 Check out the complete line of Meyer Products on our site and If you have any questions, feel free to call us at the toll free number on this site.